Islam is a religion of peace and harmony that does not allow any antagonism or maltreating of women or any other human being. The relationship between husband and wife is beautifully and thoroughly explained in Islam. Love is the key to peace and success in marriage. However, in Arab countries, domestic violence is increasing day by day. It is because of several reasons: sometimes it is the traditional pattern of behavior and sometimes it is based on giving preference to men over women. How to beat your wife? 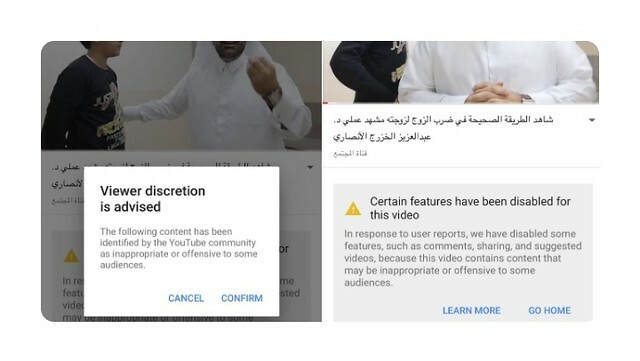 On Friday Dr. Abdul Aziz AL Ansari a Qatari preacher and well-known social media personality posted a now-restricted YouTube video in which he explained to the men the right way to treat their wives. In his tutorial, the Preacher demonstrated his meanings to a little boy in the video and claims that there is an Islamic way to teach a lesson to your wives. He says it is a way to beat them without physically harming them. The preacher says before a husband starts beating his wife he should advise her, then he should stop sleeping with her and if this all doesn’t work then he should resort to beating. In the first few seconds of the video, the preacher warns men against beating their wives and then he tells the men that they have the right to show the right path to their wives if they are disobedient. He explained that all this should be done by men because men are the leader of the house. In order to support his saying Al- Ansari also quoted several Quranic verses taken from Surah Al Nisa. Most importantly he stressed upon this Ayat of Surah Nisa. But those (wives) whom you free arrogance (first) advise them; then (if they persist) forsake them in bed, and (finally) strike them. But if they obey you (once more) seek no means against them. Indeed, Allah is very Exalted and Grand. A preacher makes a video using a child to demonstrate to men how to hit their wives “the proper way”. 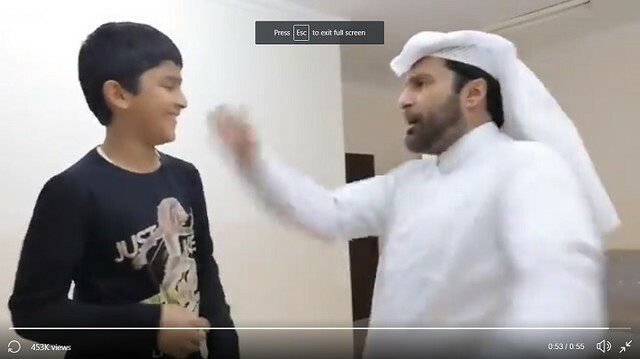 It is might possible that Al- Ansari might have posted this video with positive intentions but people hated this idea and started reporting his video claiming that he is adding fuel to uncontrolled domestic violence. Some of the people called out that Al-Ansari has the history of posting such unacceptable videos on YouTube and demanded his channel should be banned. One of the users blamed him for the reason behind the widespread societal domestic violence in the Middle East. He is blamed for mansplaining domestic abuse in the name of Islam. After extreme public outrage, the video has been restricted on YouTube.